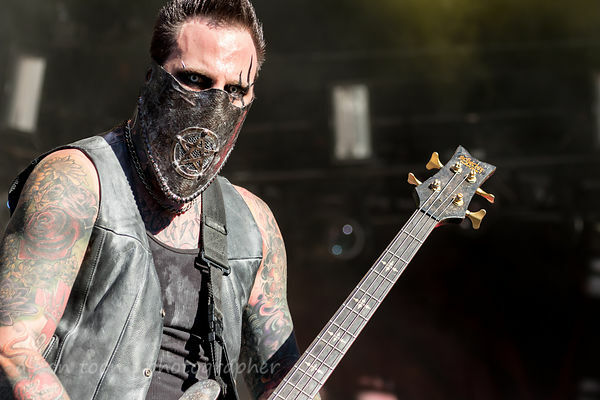 In This Moment at Aftershock 2017 photo gallery: click here. One of the most difficult decisions to make at a festival, when there are overlapping schedules for different stages, is which band to see when their set times overlap. At Aftershock this year, that choice was between Steel Panther, who were playing on the Capital stage, and In This Moment, playing on the Blackcraft stage. I'd seen both at Louder Than Life earlier in the month. They are both musically and visually interesting... what a dilemma! Which to choose? I went with In This Moment... I'm sure Steel Panther were amazing and hilarous, but... In This Moment were stunning. New outfits, new performance... like a red, spiky Durga. 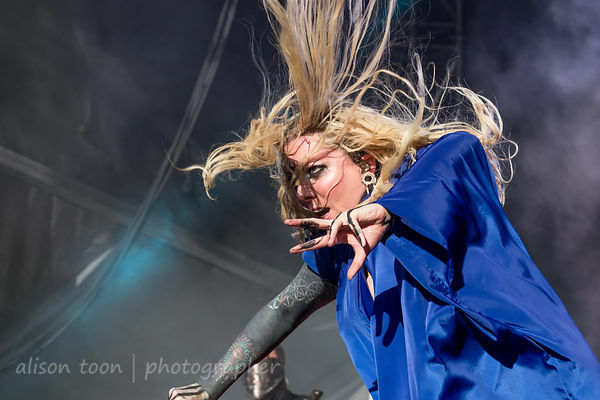 gracious and be-weaponed and beautiful, Maria Brink and her dancers moved serpentine and seductive across the stage. In This Moment's performance over the years has evolved into one of the most enticing of all hard rock and metal bands. It's a full-on theatrical show, with many costume changes--more soulful, less overtly sexual than in previous incarnations--yet with a heart of pure rock. Their latest and sixth studio album, Ritual, was released in July this year. 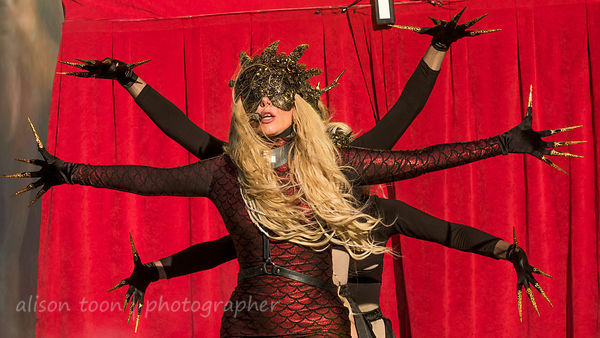 Many more photos from In This Moment at Aftershock 2017 in the gallery: click here. In This Moment are on tour in North America during the rest of the year--find tour dates here.